The car is Automatic, 260 Cu. In. engine, bucket seats, console, Rally Pac with gauges, wire wheels, rare heater delete which was painstaking restored in 1983. It was Originally sold at Powell Ford in Ft. Lauderdale, FL. and comes with original documentation such as; Window Sticker, Bill of Sale, original registration, ownership history, letter from William Clay Ford, photos from the Towe Auto Museum display, historical photos, restoration receipts, etc. William Clay Ford borrowed also supposedly borrowed the car for his grand daughter’s wedding in Hobe Sound, FL. in 2006. A documentation letter of this ceremony is with the car. It was displayed as the Featured Mustang in the Towe Auto Museum in Sacramento, CA. 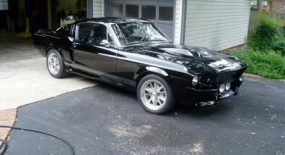 and has also appeared in the “Mustang Production Guide”, as well as numerous magazines and publications. One day, captain Tucker was driving his Pontiac around St. Johns and passed a crowd of people around Mustang VIN 5F08F100001. Tucker told Parsons he wanted to buy that Mustang, but Parson’s originally hesitated wanting to hold on to the car to get a little more publicity out of it. When Tucker came with a check in hand the next day, Parson’s sold the car to Captain Tucker. 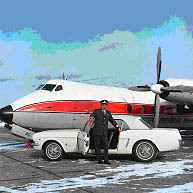 Not long after Tucker unknowingly purchased the now-historic car, representatives from Ford learned that their Canadian promotional vehicle, the first-ever Mustang, had been let loose. Ford wanted the car back, but Tucker wanted to drive it. In the two years he owned the car, he put over 10,000 miles on it. As Ford prepared for the millionth Mustang celebration, a Ford official made Captain Tucker an offer: In exchange for the first Mustang, Ford would trade the millionth Mustang. At the millionth Mustang celebration in Dearborn on March 2, 1966, Tucker stood at the end of the assembly line with Ford executives. 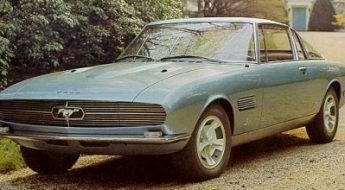 His 1966 model came with a black interior, styled wheels, factory air, am-tape player, and disc brakes. Tucker drove his silver convertible for the next five years, repainted it gold, and eventually shipped it to Antigua in the British West Indies where he flew cargo planes. In 1971, Tucker moved back to Canada. 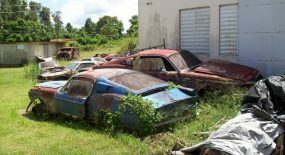 With his Mustang suffering from rust caused by salty roads in Antigua and Newfoundland, Tucker sold his car to a St. John’s mechanic. Meanwhile, the white Mustang #1 with VIN 5F08F100001 once again became property of Ford Motor Company. In 1966, Donald Shelly, then executive director of Henry Ford Museum and Greenfield Village, wrote a letter to then vice president of Ford Division Donald Frey. “We understand the Ford Motor Company is in possession of Mustang No. 1, and we would like to express our deep interest in its acquisition by donation for the collection of the Henry Ford Museum. 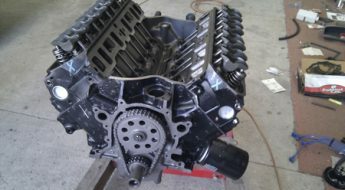 “While it is extremely difficult at close range to forecast what may or may not be historically significant, we believe that the 1965 Mustang will indeed prove to be a milestone car in the automobile industry. “Its acquisition would also bring up to date the chronological collection of milestone vehicles which we already possess beginning with the first Ford. 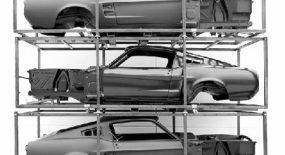 When Ford delivered the Mustang to Henry Ford Museum (renamed The Henry Ford in 2003), the car went into storage. It was briefly displayed during the Mustang’s 10th and 20th anniversary celebrations. In 1987, the car went on permanent display in the “Automobiles in American Life” exhibit. This is the first Mustang produced. 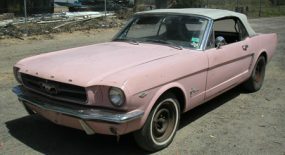 It was sold to Stanley Tucker of St. John’s, Newfoundland, Canada on April 14, 1964 and is actually a 1965 model. 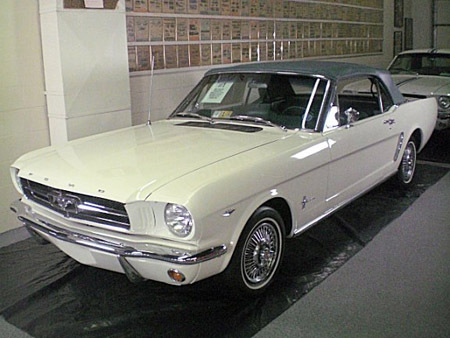 The Mustang was the automobile that touched off the entire “pony car” craze of the 1960s, and was the first automobile ever to win the Tiffany Award for Excellence in American Design. There could be a lot of flaws in my post, but what they hey, it made for good reading? 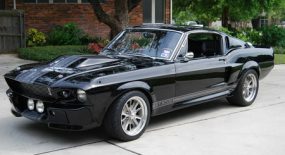 i guess we need to see the VIN of ClassicMuscleCars’ example. would vin 1 not be a coupe, so their claim for first convertible may be good. Hey mate, just reply here. don’t really have a recomendations page.